A conversation between craftsmen to create the perfect carving axe. In this video you will see the complete story of how an axe is hand crafted from raw materials. 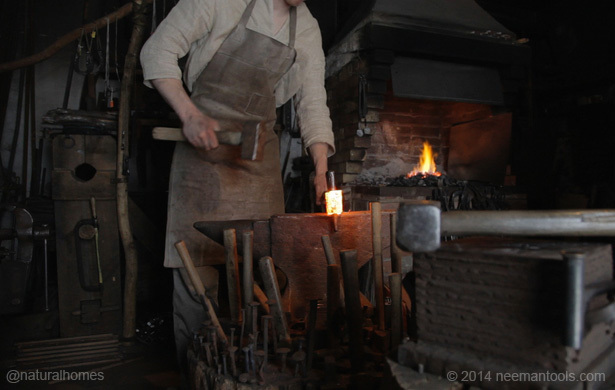 From the tool's birth, amidst the sparkle and fire of the forge, through to the beautiful finished product. 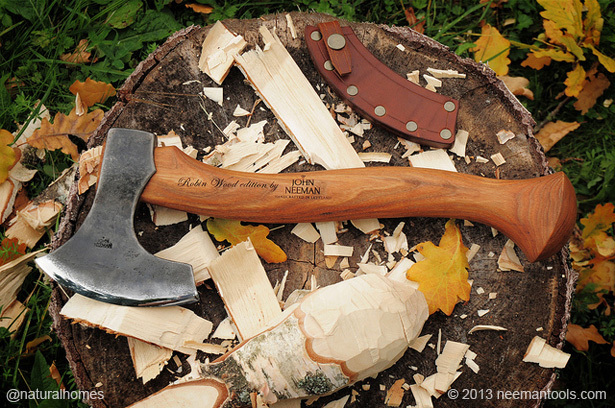 The tools made by Neeman Tools are a conversation between craftsmen who know each other well. One of the latest additions to their collection of tools is a collaboration between them and the English greenwood artisan Robin Wood who designed the axe (right). Robin is a very skilled wood carver and bowl turner who instinctively feels the balance of a good axe. When the first axe was sent to Robin for him to use he new a few changes were needed to make it into a perfect axe rather than just a good one.